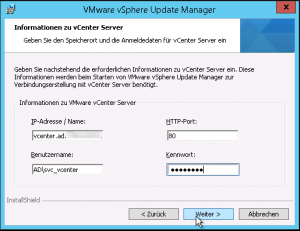 After I’ve installed the vCenter Server Appliance (vCSA) a few weeks ago the testing process is over and I’ve migrated our production vCenter to the new vCSA 6.0.0b. 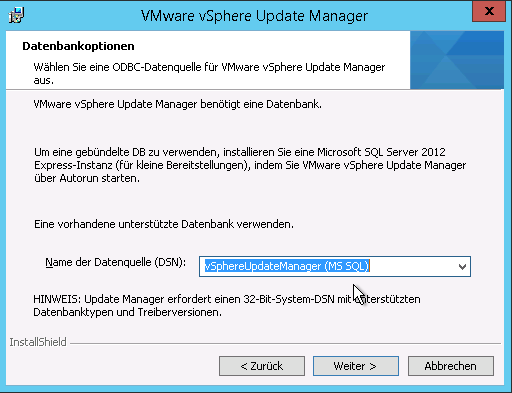 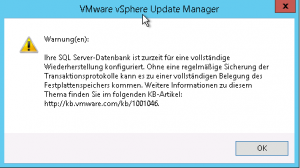 To be able to update and patch our ESXi hosts I want to install the vSphere Update Manager (vUM). Because there is no option to install the vUM on vCSA directly, you need a Windows host for installation. 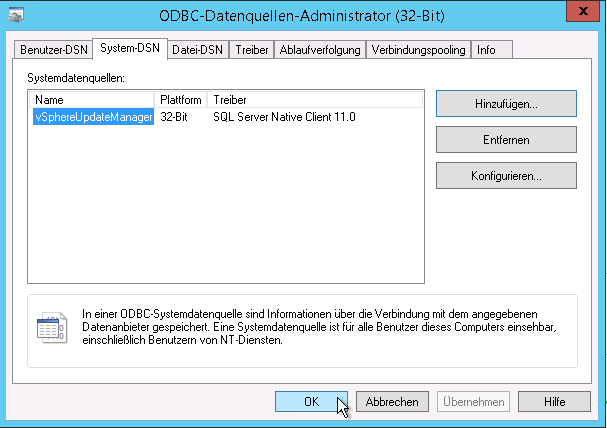 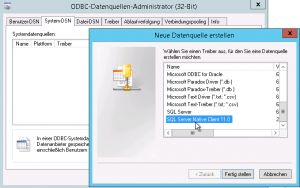 If not already installed, download an install the SQL Server Native Client. 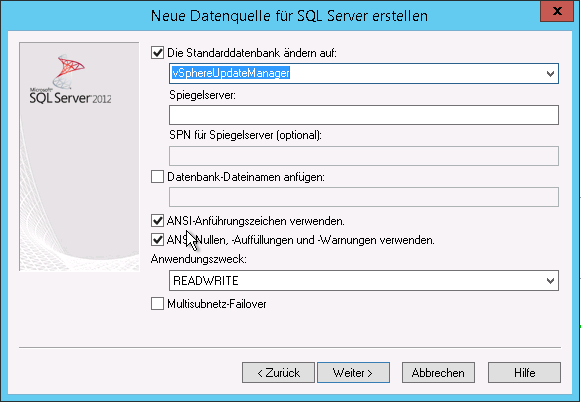 SQL Server > Check the VMware Product Interoperability Matrix because SQL2012 SP1 is supported SP2 not! 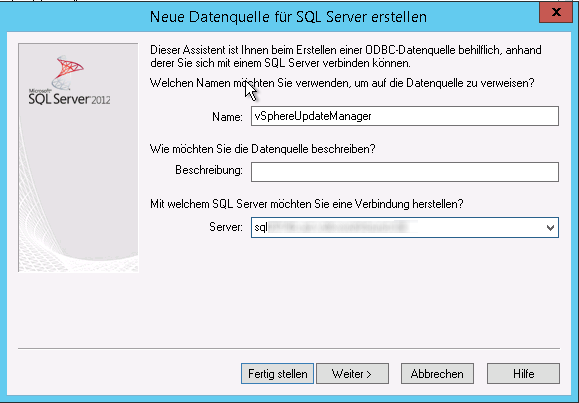 Small deployments (5 Host / 50 VMs) could be installed with SQL2012 Express which is shipped within the installer. 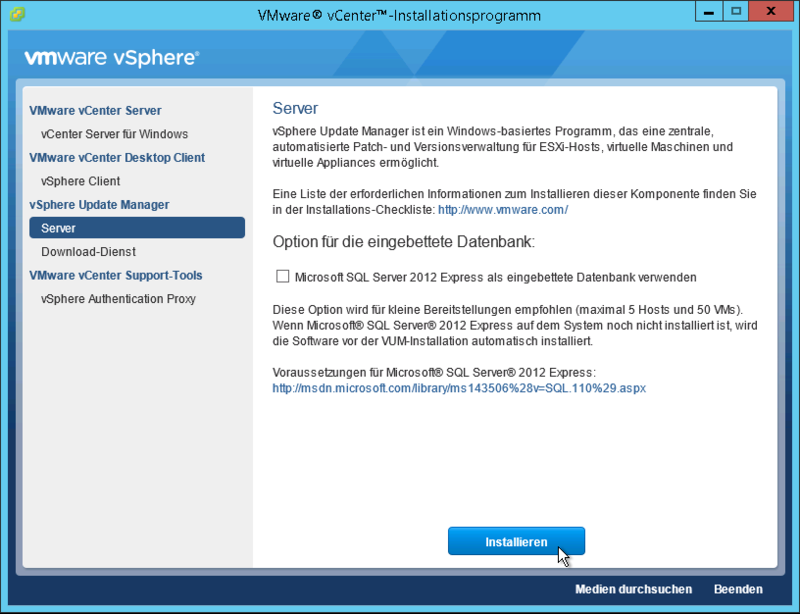 Now the installation can begin. 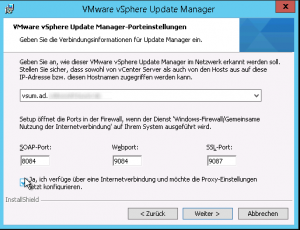 If your Host is resolvable via DNS you can use the hostname for port settings. 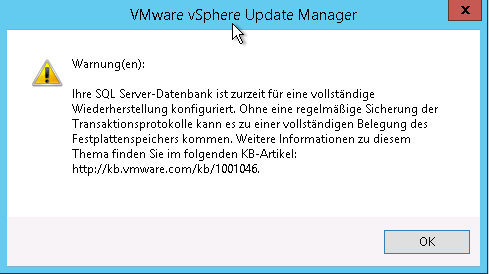 Otherwise you must use the IP address. 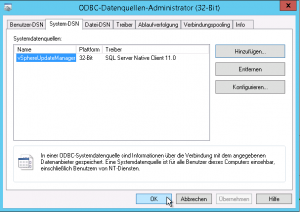 If you have a proxy server for internet access you must activate to checkbox. Then the next step wants you proxy settings. The vSphere Update Manager uses two folder. One program folder and one for the patch and update data. 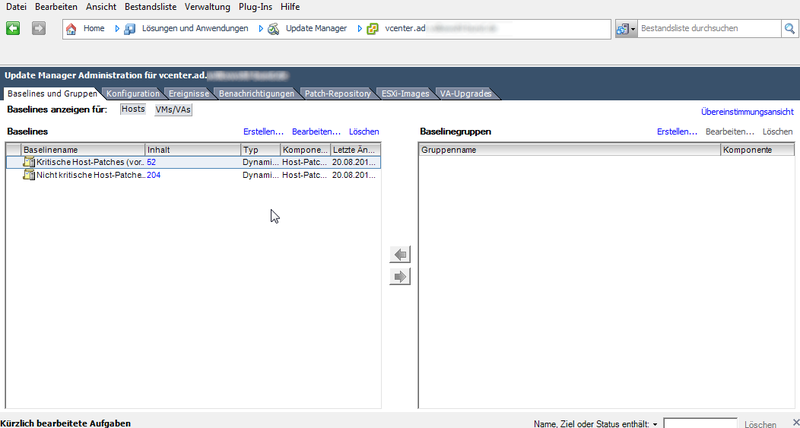 As you can see the service is trying to connect the database with his computer account. 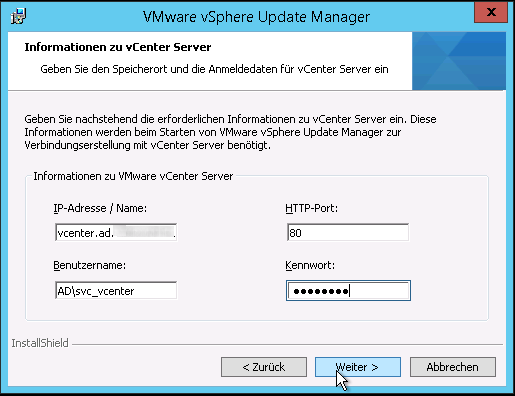 If you find an error like this, you must change the user for the VMware vSphere Update Manager Service to the service account. 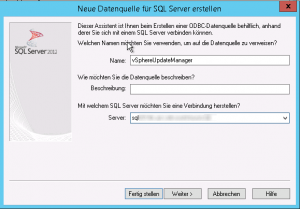 [2015-08-20 09:41:45:827 ‘VcIntegrity’ 1940 ERROR] [vcIntegrity, 829] Error initializing database: ODBC error: (28000) – [Microsoft][SQL Server Native Client 11.0][SQL Server]Fehler bei der Anmeldung für den Benutzer ‘AD\VSUM$’. 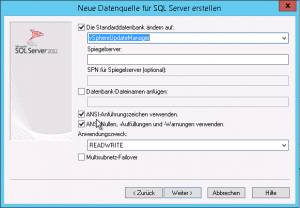 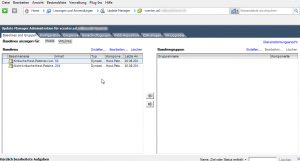 After restarting the service the log should show the initialization of the database. 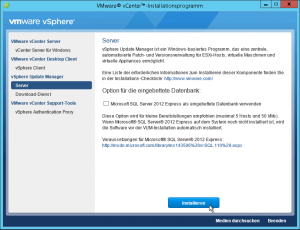 VSAN 6.1 – What is in?